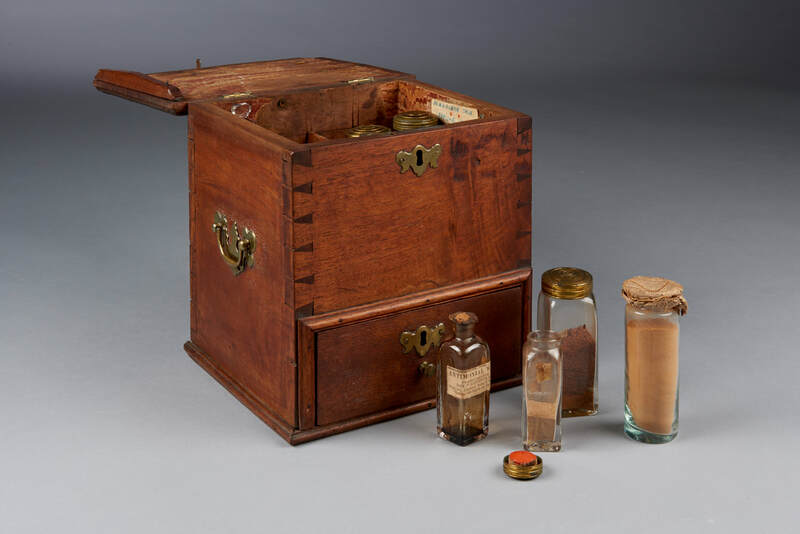 Doctor’s chest with a divided top and a drawer below. The upper compartments contain early, possibly late 18th century bottles with turned brass caps. Other bottles bear labels from “Franklin Smith’s Store, SW Corner of 8th & Walnut sts., Phila”, founded in 1829. One bottle top is wrapped in newsprint dating to 1831. There are large remnants of the original marbleized paper remaining on the underside of the lid.